It’s no secret that ours is the age of design. Ever since Steve Jobs placed design at the heart of the experience at Apple, there has been a burgeoning demand for better design. What used to be once at the periphery of customer experience is now at its very center. From packages to products, there is little in business today that doesn’t demand a designer’s touch. Being a designer can be massively rewarding – professionally and personally. It’s a rare profession where your work has the potential to be seen and used by millions of people. The financial perks aren’t half bad either – good designers are among the best paid professionals these days. Maybe you’re completely new to design. 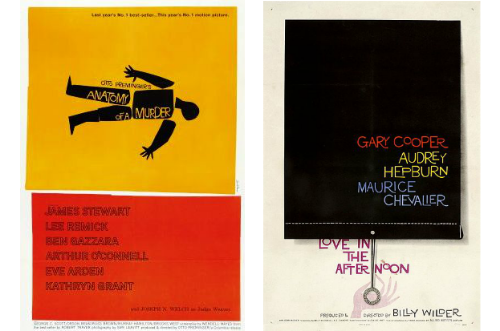 Or maybe you have posters of Jony Ive and Saul Bass in your bedroom. Regardless of where you stand in your design journey, this guide will give you a roadmap to building a design career. Overview: This section will give you an overview of the design field, including salaries and future outlook. The design field is often misunderstood and misrepresented. To a layman, design is often just the way a thing looks. This understanding skips over the real purpose of design: to impact how things work. So in this section, we’ll do a deep dive into design. We’ll help you understand the design field better and give you real reasons to pick it as a career. This definition is purposefully vague and expansive. Design can be about anything. If you’re creating or conceptualizing something new, you are essentially designing it. A guy painting signboards is as much a designer as a Tom Ford or a Frank Shepard Fairey. What separates design from art is purpose. 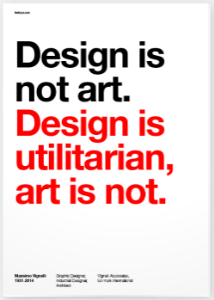 Unlike art, you don’t “design for design’s sake”. A designer’s work has clear intent and goals. As the great designer Massimo Vignelli once said, design is utilitarian. This is the same for a UI/UX designer creating a computer alert message, or a graphic designer creating a Christmas sales promotion. The designers in these cases want to tell you about something and, through effective communication, turn it into action. Essentially, design is a form of conversion. You communicate something (an emotion, a message, or even a sales promo), and convert it into something tangible (a sale, a donation, a positive brand experience). 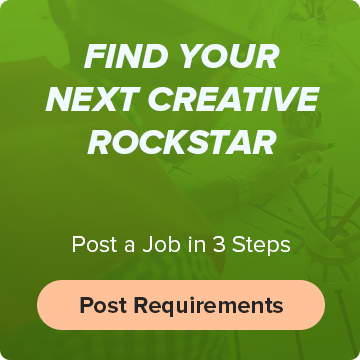 Why Choose Design as a Career Option? Design is a unique field in that it combines the creative satisfaction of art with the financial rewards of an in-demand skill. A skilled designer not only gets to create meaningful work that might be used by millions every day, he also gets paid well for it. Think of it as being an artist, without the starving bit. There are financial and creative reasons to pick a career in design. We’ll explore all of these below. Designers rank among the most sought-after professionals today. Salaries, however, vary a great deal, ranging from mid five-figures for less technically skilled fields (such as graphic design) to six-figures for UI/UX design. Broadly speaking, salaries go up the more technical the design field is. Salaries are also aligned with how “close” you are to the customer’s product experience. For instance, a UX designer’s work in an app is directly used by people every day. A graphic designer creating promotions for the app is abstracted and distant from actual users. Thus, graphic designers get paid less than UX designers. 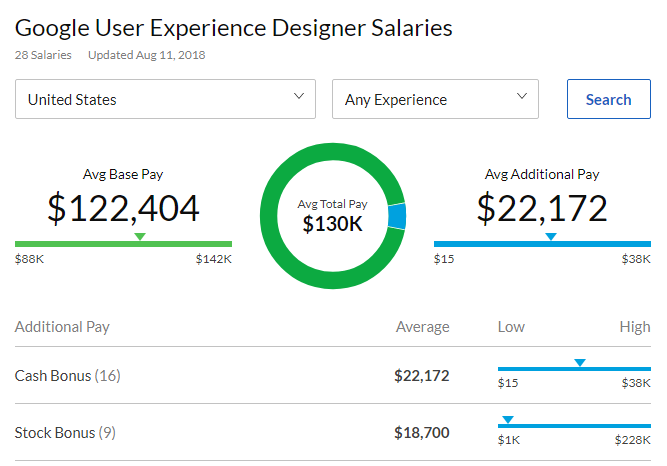 As you can see, salaries range greatly, stretching from $39,750 for a starting graphic designer to $138,000 for an experienced UX designer. Technically skilled design fields such as interaction design get paid more than broad, unspecific design fields such as graphic design. Salaries are also a function of your location. UI/UX jobs tend to be clustered around tech centers such as San Francisco, NYC, etc. which have higher cost of living. Salaries for such roles are also inflated by the presence of large tech companies paying above industry average wages. Google, for instance, pays its UX designers $122,204 on average. Design is financially rewarding regardless of your location or specialty. A career in design also opens up opportunities to progress to roles such as “art director”, who are even more richly rewarded (median pay of $92,500 as per BLS). But it’s not just wages; demand for designers is also on the up. Businesses are beginning to realize the impact design can have on their bottom line. 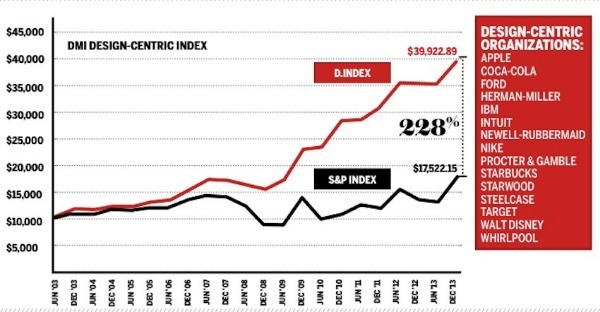 One study by DMI found that design-driven companies outperformed the S&P by 228% over a 10 year period. More and more businesses are pivoting to adopt design. IBM, for instance, recently moved to increase its ratio of designers to developers to 1:9 from 1:72 earlier. In fact, demand for design talent is even higher in top-tier companies. Design in Tech Report found that top tech employers such as Google, Amazon, Facebook are on a hiring spree and increased design headcount by 65% in 2017 alone. This is the reason why World Economic Forum ranked design-related jobs as one of the top 8 most in-demand professions by 2020. Which is to say, picking a career in design will help you make money, land plenty of job offers, and keep your job safe for the future. Apart from the financial rewards, picking design as a career option also grants you significant freedom. A designer can work in countless fields, from graphic design to information design. Because there are no formal degree requirements for most design fields, skilled designers often move from one field to another. It’s not uncommon to find a UI/UX designer create typefaces in his spare time, or for a fashion designer to delve into graphic design. As Massimo Vignelli was fond of saying, “If you can design one thing, you can design everything”. The prospect of automation with AI is an ever-looming threat for most professions. Not a day goes by when you don’t hear yet another doomsday report of robots taking over most jobs. McKinsey even estimates that as many as 70M jobs in the US could be automated by 2030. As a creative field, design is largely insulated from disruption by AI. A robot might be able to make dull logos on the fly, but it can’t really think creatively or solve innovative problems (the core of design work). Even Indeed considers design to be one of its 9 “future-proof” professions. A survey conducted by AIGA interviewed 9,500 people spread over several creative fields (including architecture and advertising). The survey found that designers are overwhelmingly happy with their jobs. A whopping 80% of those surveyed said they were satisfied with work. Product, digital, and interaction designers were the happiest among all these roles. This shouldn’t come as a surprise, of course. Design jobs have all the ingredients of workplace satisfaction: creative challenges, fair remuneration, and plenty of workplace benefits. Design jobs tend to be clustered in employee-friendly industries such as technology, creative agencies, etc. Most designers also worked under 40 hours per week. Only those in C-level roles worked over 40 hours. Don’t like your current job? Want to make some extra cash on the side? Dream of owning your own agency or business? A career in design gives you a great deal of flexibility in striking out on your own. There is a tremendous amount of freelance work for designers. From making additional cash to starting your own venture, designers have a lot of opportunities outside of their 9 to 5. 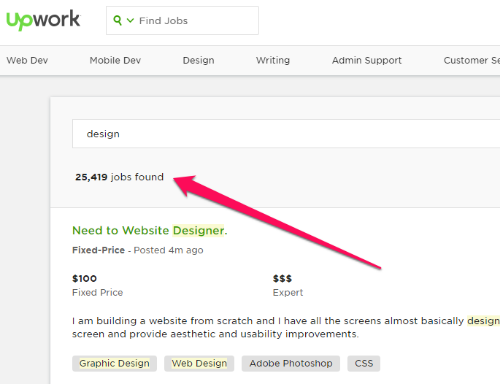 A quick look at UpWork shows over 25,000 listed freelance design jobs. 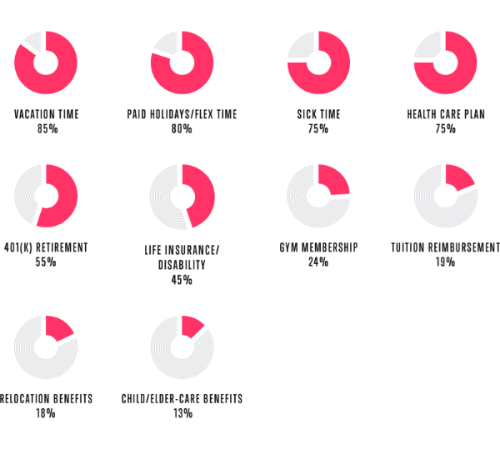 That’s just the tip of the iceberg; designers remain among the most sought after freelance professionals. Opportunities like these are hard to find outside of most professions. What Do Designers Really Do? A career in design is financially rewarding and opens up countless opportunities. But what do designers really do? To answer this question, you have to first understand the many fields of design. What you work on – and how – will depend on your chosen design field. Graphic designers are sometimes also called “communication” designers. A graphic designer essentially creates visuals to communicate a message in a clear, succinct manner. Banners, display ads, flyers, logos, illustrations – this is all the work of graphic designers. You’ll usually work closely with marketers and copywriters in crafting these visuals. UI/UX design is concerned with how a product or website works, rather than how it looks. As a UI/UX designer, you’ll conduct user-research, create mockups and wireframes, and borrow lessons from psychology to create a user-experience that is intuitive and effortless. In a website, for instance, a web designer will decide how a button looks. But where the button should be placed for optimum conversions is the job of the UI/UX designer. Think of UI/UX design as the steel frame that gives products their structure. UI/UX designers work closely with web designers, developers, and at times, marketers to create optimized designs. Web design is a broad term for design work related to websites and apps. A web designer is expected to have a range of skills, including some knowledge of web development. Web designers often work closely with developers to create complex websites. It’s not unusual for them to work alongside a team of UI/UX and graphic designers as well. Product design is a catch-all term for a range of design fields, from “interaction design” to “experience design”. Essentially, a product designer creates, well, products. Given the scope and scale of the project, this might require several skills. 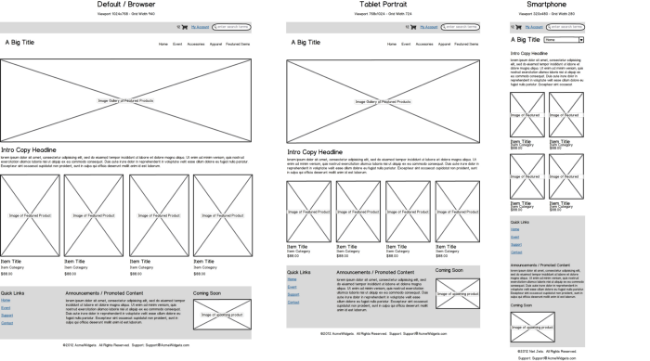 If you’re making an app, for instance, you’ll need UI/UX design to create wireframes and app design skills to translate them into a prototype. Similarly, if you’re making an IoT device, you’ll need interaction design and industrial design knowledge to create the software and hardware necessary for the device. Industrial design, which involves creating hardware products. This can include everything from smartwatches to massive machines for factories. Interaction design, which is a subset of UI/UX design and is focused on how people interact with objects. Figuring out where to place buttons on a smartwatch, for instance, is the job of an interaction designer. Information design, which deals with how information is displayed. Figuring out what fonts, icons, and colors to use in a subway map, for instance, is the job of an information designer. Motion design, which deals with how a design looks and acts in motion. For example, creating a button that moves subtly when you hover over it is done by a motion designer, as is creating animated whiteboard videos. Then there are traditional design fields such as fashion design, interior design, and even niche fields such as furniture design. If it can be created, it can be designed. It used to be that good design used to mean “looks pretty”. But we’ve come a long way from such simplistic notions. Objective user-research through data analysis, heatmaps, eye-tracking, etc. This is true for most design fields. A fashion designer can’t really be good at his work without knowing the basics of color theory. A UI/UX designer needs to know user-research if he wants to be good at his job. Modern design increasingly demands that you combine learnings from multiple domains. This is what makes the work so creatively challenging and financially rewarding. In the next section, we’ll chart a roadmap to building a career as a designer. Design is a unique field in that you don’t need any specific degrees or certifications to become a designer. A civil engineer or an architect can’t practice without being accredited. But a designer can have a thriving career even if he is self-taught. Indeed, some of the world’s top designers either studied ancillary fields to design (such as architecture) or didn’t study design at all. Legendary graphic designer Paul Rand was largely self-taught, while Dieter Rams – the man who inspired Apple’s Jony Ive – studied architecture. Google and Facebook’s current heads of design – Matias Duarte and Julie Zho, respectively – majored in computer science, not design. In practical terms, this means that you can be a designer without ever going to college for it (thought a degree certainly helps). As long as you have the requisite skills (and a portfolio to show it off), you can get a job as a designer. How you approach your design career will depend much on where you currently stand in your life. If you are young and have the means, a formal degree program might be your best option. If not, you can take online courses to build up your skills over time. In the section below, I’ll share a few things you need to know before starting a design career. I will also share tips to pick up skills, build a portfolio, and carve a roadmap to become a designer. What design field should you specialize in? Graphic design? UI/UX design? Motion design? Before you answer this question, you need to build a solid foundation in design thinking. The skills you pick up as a graphic or UI/UX designer are transferable to other design fields, provided you develop a fundamental understanding of how design works. That is, design thinking is a way to solve problems by approaching them from the perspective of the user, not the creator. There are several distinct steps in this process, such as defining the problem, researching solutions, ideating solutions, prototyping and testing, and learning from the results. In a way, it is the obverse of the conventional “analytical thinking” process, which emphasizes technical optimization over radical approaches. Consider the click wheel on the original iPod. 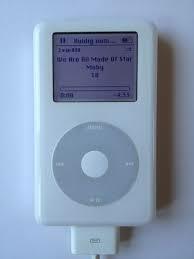 This was the iPod’s revolutionary feature that made it possible to browse through thousands of songs on a tiny screen. The “analytical thinking” solution would have been to use the tried and tested interface – four-way navigation button. Not only was this solution cheap, it was also proven to work. But because of Apple’s focus on design thinking, it developed the technically complex, unproven, yet more user-oriented click wheel. To become a designer, you have to first understand this mode of thinking. You have to divorce yourself from a purely analytical approach to problems. Rather, ask yourself: how would you design something from the perspective of the user? Why are certain designs the way they are, and if they are, can they be improved (and moreover, should they)? Essentially, you must be empathetic and learn to see problems from the perspective of people, not just the problem itself. Before you start picking up real design skills, focus on changing the way you think about design. The better you understand design at a fundamental level, the faster you will pick up design. The Design Process by Karl Aspelund: A technical book that breaks down the 7 stages of design – identifying problems, conceptualizing solutions, exploring ideas, refining ideas, defining and modeling solutions, and communicating results on the way to production. Thoughts on Design by Paul Rand: A philosophical treatise on design by the legendary Paul Rand. More than half a century old yet considered one of the most important books on design ever written. Design as Art by Bruno Munari: This short, highly readable paperback explores how design is everywhere around us, even when we don’t notice it. A great book for beginners to understand the fundamental role design plays in our lives. The Design of Everyday Things by Don Norman: One of the most popular books on design ever written. Don Norman dives into the ‘why’ of design of everyday objects and delivers some startling insight. Often considered the entry point to UX design. Change by Design by Tim Brown: Author Tim Brown digs into the idea of design thinking. You’ll learn that design is less about inspiration and more about following a well-crafted process and a mode of thinking. The Art of Looking Sideways by Alan Fletcher: A collection of 72 loosely-organized essays on “visual intelligence”, this book will show you the connection between the verbal and the visual. A great primer to any design field that deals with words – web, graphic, or type. Don’t Make Me Think by Steve Krug: One of the most important books on web and UI/UX design. Consider it the first stop in your reading list if you want to create anything for the web. As a professional field, design is quite fluid. You can start off in one design specialty before switching to another. Even if the skills aren’t transferable, the basic approach (i.e. design thinking) remains the same. Learning path: Can you afford to go to college or join a professional course? Or do you intend to rely on self-taught or self-paced learning? Some design fields, such as architecture require professional coursework. Others, such as web design or even graphic design, can be self-learned. Career opportunities: Certain design specialties have more jobs and higher pay than others (refer to the salary ranges listed above). You’ll likely make more money as a UI/UX designer than as a graphic designer, though the former will also likely require a degree. Barriers to entry: Certain design fields require a little more than a half-decent portfolio and some marketable skills. Others, such as UI/UX design, often require degrees and certifications. If you want to start quickly, pick a design field that is easier to break into, such as graphics or web design. Difficulty and technical skills: While this is entirely subjective, there is at least a perception that some design fields require substantial technical expertise. You can’t hope to be an architect without a solid understanding of drafting and CAD tools, for instance. Creative expression: Lastly, consider which field will help you express yourself creatively. Salaries and jobs are nice, but you’ll do your best work if you actually enjoy doing what you do. Besides answering all these questions, there is a great strategy to building a design career that I’ll share with you below. This applies to everything from becoming an entrepreneur to building a design career. Start by making a list of companies you’d love to work for. Then head over to their career site and look for any entry-level design jobs. How much experience does the job require? What technical and soft skills should I have before applying? Does the job require a degree? A portfolio? For example, here are the requirements for a visual designer role at Google. Note how the job requires an undergraduate degree, 5 years of work-experience, and proficiency with leading design tools. This means that if you intend to get a job at Google, you will have to go to college, get some work-experience, and build a solid portfolio. Google likely won’t hire you if you’re self-taught. Besides mapping the requirements of top recruiters, another way to build a career is to retrace the path taken by top designers. Which universities did they go to? What companies did they work for? What were their top projects? This will help you figure out the path you need to follow to build a similar career. One of the most dominant ideas in recruiting today is the concept of “T-shaped skills”. This essentially states that you must have deep knowledge in a particular field, and broad knowledge in a number of fields. A worker with a T-shaped skill set will thrive in a number of situations since he can use his broad skill base to work and communicate ideas across teams. At the same time, his deep expertise will help him excel at one particular discipline. 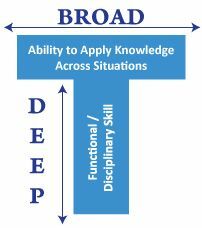 Of course, developing these ancillary broad skills comes later; you have to first develop deep expertise in your chosen design field. The easiest path to becoming a designer is to get a degree for it. Design degrees used to be rare, but the increasing design-focus of businesses has led to a veritable explosion in design schools. Getting a degree in design is no easy feat, of course. The cost can be exorbitant and the time commitment is significant as well. Most top schools, such as Rhode Island School of Design, have 4-year undergraduate degrees and 2-3 year graduate programs. The ROI, however, can be substantial as graduates from such schools are in high-demand. In the next section, we’ll look at traditional undergraduate and graduate degree programs in design. We’ll also look at some non-traditional design programs, including design boot camps and short-duration courses. But first, let’s answer a fundamental question: what kind of design education should you get? College vs Bootcamp vs Online Course: Which is Right for You? It used to be that if you wanted to learn design, you either had to go to college or somehow learn everything yourself through books and mentors. Thanks to the popularity of MOOCs and boot camps, prospective designers have a number of choices for getting a design education. They can go to a traditional college, pick up skills over summer school, join a bootcamp, or even learn everything online through free or paid courses. What are the pros and cons of each of these options? And which is right for you? The traditional path to getting a design education is to go to a 4-year college. Graduates from such programs are usually awarded a BS or BFA in design. Alongside design courses, you will also have to take a number of electives from different disciplines. Alternatively, you can join a graduate program in design. However, you will need a robust portfolio and a solid foundation in design to be accepted, especially into the better programs like RISD or Pratt. Expensive; most full-time design schools cost upwards of $30,000/year in tuition alone. Attending a full-time program means devoting 2-4 years of your life. If you already have a degree or are older, you might find a traditional 4-year degree to be too long. You have to stay near the campus. The opportunity cost of a 4-year degree is quite high, especially for older applicants. Boot camps are intensive, short-duration courses focused on a technically challenging, in-demand disciplines such as coding or design. Most boot camps require applicants to be present on-premise. The cost tends to be high, especially given the short duration of the course itself. Boot camps are extremely intensive and immersive. Students at top boot camps spend 10+ hours/day for several weeks learning their chosen discipline. Full-time degree programs and online courses represent the two most intensive but expensive options to study design. But what if you don’t have the money, time, or the means to study design full-time? Fortunately for you, there are countless part-time programs and online courses – both free and paid – that will teach you design. Some of these programs are even run by prestigious schools such as Pratt Institute’s continuing education program. As for online courses, there is a vast variety to choose from. There are structured paid courses, as well as “choose your own path” free courses. Which of these three learning paths you choose will depend on your budget, time, and current career stage. On this note, let’s look at some of the top design colleges, boot camps, and online courses. Despite the emergence of a number of design schools, the following colleges retain their position at the top of the rung, both for the quality of instruction and career opportunities. One of the world’s best known design schools, RISD offers undergraduate and graduate degrees in a number of fields, ranging from architecture to printmaking. Getting in can be very difficult, however, and requires a strong portfolio, academic scores, and recommendations. The cost is high as well – annual costs for 2018-19 stand at over $70,000/year. Famously, two of AirBnb’s co-founders studied at RISD. CMU’s school of design is well-known for its focus on UI/UX and interaction design, thanks to CMU’s position as a leader in computer science. The undergraduate program is quite flexible and encourages an interdisciplinary approach. The department also offers master’s and doctoral level programs. Median salaries for the undergraduate program stood at $102,000/year in 2017. Parsons is arguably the top design school in New York. Most of its programs are focused on design spread across countless specialties. Its fashion design program is particularly famous for producing alumni like Tom Ford, Bill Blass, and Isaac Mizrahi. Brooklyn-based Pratt Institute is known for its architecture, art, and design programs, though it also has a highly respected liberal arts program. Pratt is known for adopting an interdisciplinary approach to design education, quite like RISD. Notable alumni include architect William Van Allen (who designed the Chrysler Building), Paul Rand, actor Robert Redford, and musician Rob Zombie. Located in London, the RCA is arguably the foremost design school in the UK. Established way back in 1837, it is also one of the earliest schools dedicated to design and art. Some of the world’s top artists have graduated from RCA, including architect Edwin Lutyens, designer James Dyson, and actor Alan Rickman. Stanford’s computer science pedigree and location in the heart of Silicon Valley have made its school of design (called “d.school”) one of the world’s top places to learn interaction design. Graduates from the d.school are much sought-after by the many startups based around the Valley. While a 4-year undergraduate or a 2-year master’s program is perfect for anyone wanting to become a designer, this path isn’t for everyone. It’s both expensive and time-intensive – two scarce resources. Besides its prestigious undergraduate and graduate degree programs, Parson’s School of Design also offers a number of short-term programs at its “Open Campus”. This includes courses on digital design, the business of design, etc. Admission isn’t as selective and the courses are priced attractively to give you a headstart on a design career. MIAD offers a number of its courses to non-enrolled students. Tuition for each class is generally low and classes are offered during both summer and fall semesters. This is a great option for people living near Milwaukee. Pratt’s summer credit program is, as you guessed it, open during summer to any non-enrolled student. There are separate pre-college courses for high-schoolers, and intensive courses for adults continuing their education. The latter focuses on a number of fields, ranging from architecture to design and photography. Led by designer Mike Frederick, this design bootcamp is an intensive course teaching motion design. The course is spread over 8 projects and focused on helping students build real-world skills for both the technical and business aspects of design. Canada-based Bitmaker offers intensive UX and product design boot camps. Boot camps last 10 weeks and require you to be present on-premises. Although the cost can be high, the intensive focus makes for a great start to a design career. General Assembly, one of the largest bootcamp-focused education providers in the US, offers full-time, part-time, and online courses on UX and visual design. Part-time courses last 8 weeks while full-time courses are 10-weeks long. DesignLab offers a number of online courses on different design specialties, including UI/UX, visual design, and branding. Although the bootcamp is online, you still have to follow a strict curriculum and stick to a schedule. A more cost-effective option for those who can’t shift to another city for a bootcamp. Bloc.io is another online-only bootcamp. The coursework is less intensive than most other boot camps and the price is lower as well. This is a good option for those of you who want to study part-time and have limited budgets. IronHack started off focusing on web development but now also offers a UI/UX bootcamp. You can choose from a part-time (24 weeks) or full-time (9 weeks) course. Classes are held on-premises (7 locations in Europe, 4 in the Americas). StartupInstitute offers a part-time bootcamp that lasts 12 weeks and will give you the skills you need to start a web design career. You’ll need to devote 2 nights per week + Saturdays. Apart from these boot camps and part-time programs, there are countless free and paid online courses. Unfortunately, these courses are way too many to list here. If you are serious about a design career, however, the above should be a good place to start your search. Your next step should be to figure out what’s the right path to becoming a designer for you. Can you go to a traditional four-year degree program? Or should you attend a design bootcamp? 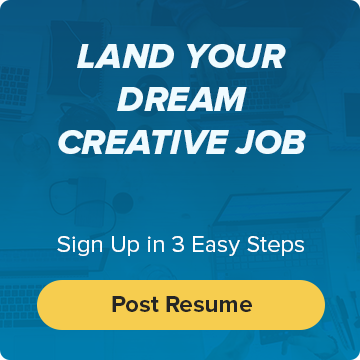 Is design even the right career for you? We recommend starting out by reading a few books on design fundamentals (shared in section I earlier). Try to see if design is something you actually enjoy doing (rather than just the idea of it). If possible, get a copy of Photoshop or Sketch. Play around with the software and see if you enjoy it. You can even try creating mockups and sketches on paper to get a feel for the process. If you’re sure design is the right career for you, pick up some basic design courses online. 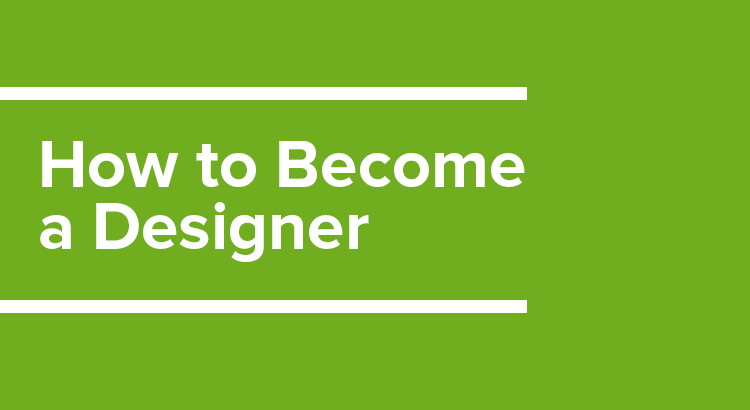 There are countless tutorials – free and paid – that will help you become a designer. Not only will these courses give you an understanding of the technical demands of designing, they will also prepare you for the rigor of a focused design program. Once you’re confident, pick a traditional degree or a non-degree program to pursue your design dreams.